Two corrupt cops in New Mexico start blackmailing and framing criminals they run into, but make the mistake of intimidating someone more dangerous than they are. Nine times out of ten, a comedy that aims to be an “equal opportunity offender” is just going to end up being offensive. It’s a respectable aim to try to mock anyone and everyone equally, but it’s rarely successful. That’s partly why War on Everyone struggles. 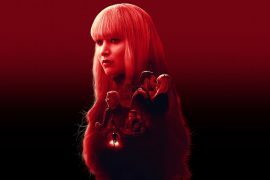 That’s not to say it doesn’t have some inspired moments of humour over its 98-minute runtime, it just needed more focus. All of the funniest moments stem from its satire of police bureaucracy and its send-up of movies about cops who ‘don’t play by the rules’, but everything else is less convincing. Some of this stuff is great, but the film as a whole is airless and lacks structure, becoming messy in a way that makes it feel unfinished. You can definitely imagine director John Michael McDonagh (Calvary, The Guard) looking at something like Beverley Hills Cop and wondering how people would really behave around cops who’ve thrown away the rule book. He’s taken that template and made his main characters two of the most reprehensible policemen you can imagine. Alexander Skarsgård (True Blood) and Michael Peña (Ant-Man) play a rebellious pair of lawmen who steal money from crime scenes, drink and take drugs while on the clock and beat up their informants and suspects. Peña has described it as “a bad cop, bad cop” film, and he’s not wrong. Suicide Squad could learn a thing or two from War on Everyone, in terms of how to make a film where truly bad people are the protagonists. There’s not much redeemable at all about Terry (Skarsgård) and Bob (Peña), and they get in over their heads with a massive million-dollar heist, aiming to walk away with the money for themselves. Eventually, they realise that the mastermind behind the heist isn’t a man to be trifled with: James Mangan (Theo James), an unhinged British gangster hooked on drugs and willing to use his antique swords to decapitate his enemies. Peña’s scene-stealing work in Ant-Man got him recognised for his skilful comedic timing, and he’s just as impressive here. The combination of the wry, wisecracking Bob, with the often drunk and offensive Terry, makes for a strong double act, and both Peña and Skarsgård have real chemistry together. The film largely wastes its other actors, though, including the terrific Tessa Thompson (Creed) and Stephanie Sigman (Spectre). James is surprisingly good as a creepy villain, however, and Caleb Landry Jones is very watchable as Mangan’s effete sidekick. The film itself has an unusual 1970s style to it, with retro wipes between scenes, a funky score, and a disorienting look to the film that makes it difficult to pin down in time. Even the costumes and cars look like they’ve been plucked out of another era entirely. Sometimes it feels like this is a case of style over substance, however. 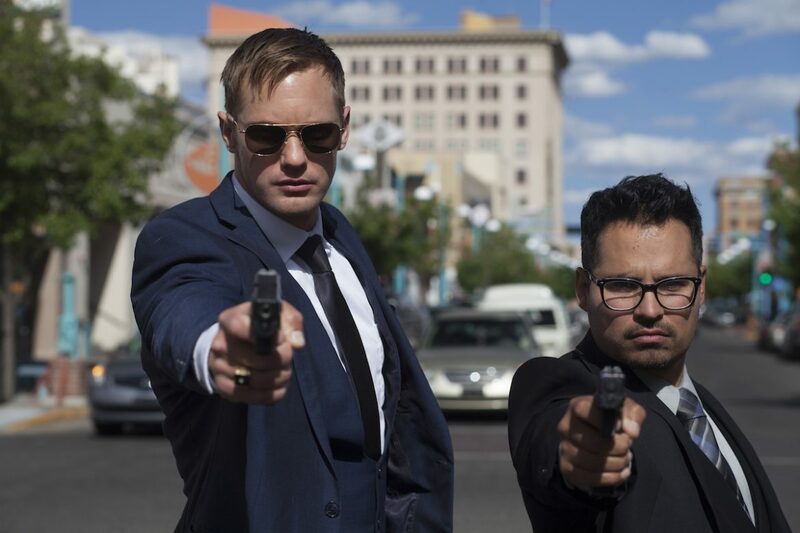 War on Everyone often doesn’t seem to have much of a point, much less a plot that holds together. 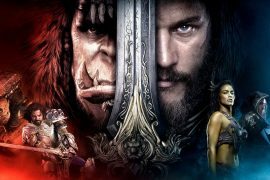 A lot of what happens in this film seems to just happen, with the script rarely establishing the connections between everything. How much you enjoy what War on Everyone has to offer will depend on how convinced you are by the equal opportunity offensiveness mentioned earlier. For many viewers, the onslaught of racist, misogynist, and transphobic humour will come off as mean-spirited. There’s an argument to be made that the film is a satire that brings to the surface things about dirty corrupt cops that we know to be true, but it doesn’t work hard enough to be that. There are some interesting subversions of the genre, especially when it comes to race, but this stuff doesn’t happen anywhere near enough. There’s also a fairly inspired and perfectly timed gag when the film takes a weird diversion to another country entirely, but these moments of hilarity are too few and far between. In the end, it becomes clear that however terrible Terry and Bob are as people, they’re at least prepared to defend the helpless… particularly children. The ending is as bizarre as it is smart, and just about works in its own audacious way. 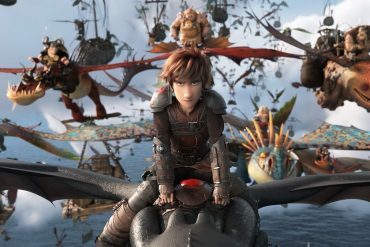 You’re just left wishing that the rest of the film could’ve been prepared to be a bit more groundbreaking, as much of it feels like its just peddling the tired clichés we’re already used to. 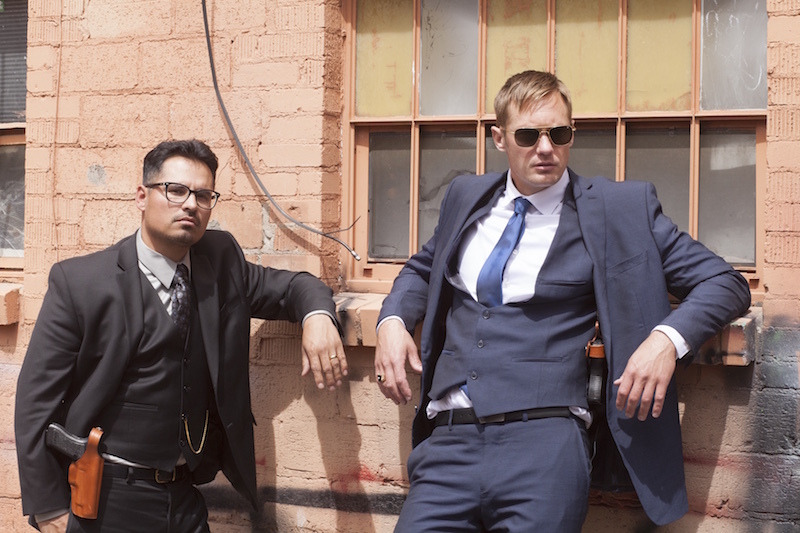 War on Everyone has a solid foundation for a strong buddy cop movie, but it squanders it. Without a unifying sense of purpose, you’re left clinging to small moments of stylishness or irreverence that work. The end result is a big disappointment, a lazy, messy movie that isn’t close to as funny as it thinks it is. writer & director: John Michael McDonagh. starring: Alexander Skarsgård, Michael Peña, Theo James, Tessa Thompson & Caleb Landry Jones.